Effects of the earthquake in Lima (Peru). On the road, a woman rake the ground. Campground students of the First Moscow State University named after Sechenov in the mountains of the province of Ancash. Among students R.S.Akchurin, his future wife N.P.Akchurina, operator V.P.Troshkin. Doctors examine the earthquake-affected children and adults. People on the ruins of houses. Photos of annual meetings of the Peruvian squad. R.S.Akchurin washes his hands before surgery, behind the scenes story about the peculiarities of operations CABG (coronary artery bypass grafting). The surgeon enters the operating room. The medical team is getting ready for work. Surgeons carried out the operation. 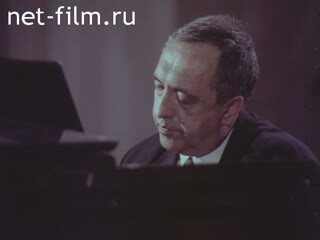 The alternation of fragments of interviews with R.S.Akchurin, photos, articles in the newspaper. Akchurin RS - Cardiac surgeon, academician of the Russian Academy of Sciences, Academy of Medical Sciences, Academy of Sciences of the Republic of Bashkortostan, an honorary member of the Academy of Sciences of the Republic of Tatarstan, Head of Cardiovascular Surgery Institute of Clinical Cardiology behalf AL Myasnikov Cardiology SPC RAMS. Akchurina NP - Ophthalmologist, Akchurin`s wife. Troshkin VP - The operator, documentary film director, Honored Artist of the RSFSR, People's Artist of the RSFSR. Says former commissioner student team I.K.Komarov. The interview is punctuated by shots chronicle of 1970 and photographs. 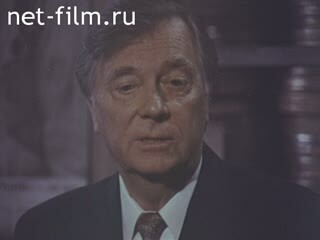 The alternation of fragments of interviews with A.B.Kuznetsov, footage from the film "White Sun of the Desert", photos of doctors. R.S.Akchurin shows V.P.Troshkin medical instruments, talks about their differences. R.S.Akchurin answer questions about the operation of Boris Yeltsin. Surgeons working in operating room, part of CABG surgery. R.S.Akchurin studying pictures of patients. Photos and diplomas on the wall. The award "Person of the Year" certificate and a medal. Akchurin RS - Cardiac surgeon, academician of the Russian Academy of Sciences, Academy of Medical Sciences, Academy of Sciences of the Republic of Bashkortostan, an honorary member of the Academy of Sciences of the Republic of Tatarstan, Head of Cardiovascular Surgery Institute of Clinical Cardiology behalf AL Myasnikov Cardiology SPC RAMS. Kuznetsov AB - Film and theater actor, People's Artist of the RSFSR. Troshkin VP - The operator, documentary film director, Honored Artist of the RSFSR, People's Artist of the RSFSR. R.S.Akchurin and DeBakey ME talk at the table. Kazan, Central Clinical Hospital № 18. R.S.Akchurin, DeBakey ME and Mintimer Shaimiev visited the hospital. R.S.Akchurin and DeBakey ME at the Moscow airport. Surgeons at the presentation of the book DeBakey ME and A.Gotto "New Life heart." R.S.Akchurin talks about the book. 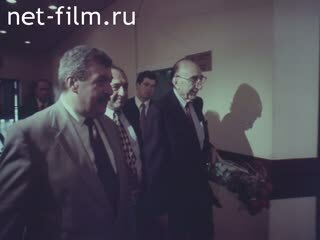 E.I.Chazov, DeBakey ME and R.S.Akchurin. V.P.Troshkin, N.P.Akchurina and R.S.Akchurin the country. The director talks to Akchurins. The couple prepared foods for dinner. R.S.Akchurin and his youngest son around the house, preparing exotic dishes. Akchurins family with friends at the banquet table. Head of the family toast. Akchurin RS - Cardiac surgeon, academician of the Russian Academy of Sciences, Academy of Medical Sciences, Academy of Sciences of the Republic of Bashkortostan, an honorary member of the Academy of Sciences of the Republic of Tatarstan, Head of Cardiovascular Surgery Institute of Clinical Cardiology behalf AL Myasnikov Cardiology SPC RAMS. Akchurina NP - Ophthalmologist, Akchurin`s wife. Troshkin VP - The operator, documentary film director, Honored Artist of the RSFSR, People's Artist of the RSFSR. Mintimer Shaimiev - Politician, the first president of Tatarstan. Chazov EI - Cardiologist, doctor of medical sciences, professor, academician of the Academy of Medical Sciences of the USSR. DeBakey ME - American heart surgeon, assistant surgeon of the General Staff of the US Army, a developer of mobile army surgical hospital, one of the first specialists in coronary artery bypass grafting.